On Tuesday May 16, 2017 at 5:33pm a report was received of a possible tornado touchdown in the Prairie Lake Estate Mobile Home Park. The Barron County Sheriff’s Department along with all local area law enforcement agencies in Barron County and 12 area ambulances and six area fire departments responded to the scene. 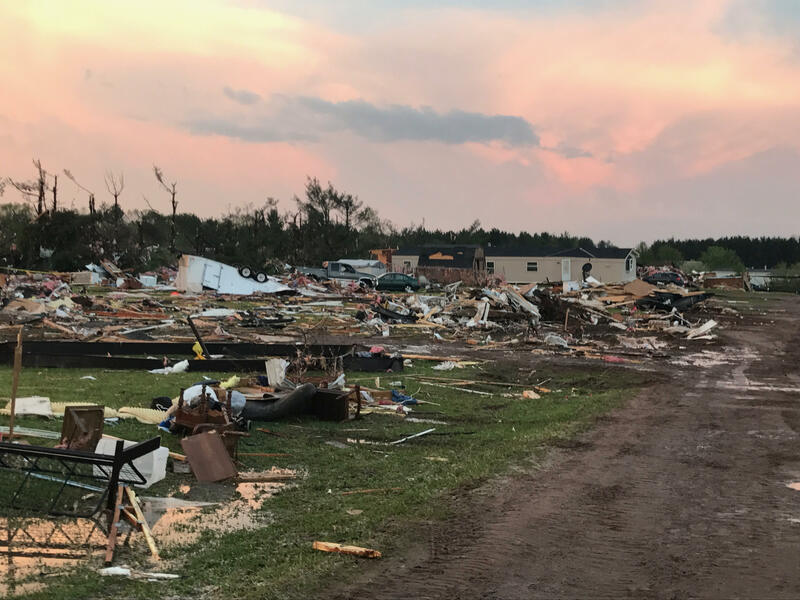 The mobile home park contained 50-60 trailers and several of them are totally destroyed. 17 people were transported from the scene to area hospitals with approximately 5-10 more with minor injuries that refused treatment. One 46 yr old male subject was found deceased. All area residents of the mobile home park have been accounted for.